Manufactured to exacting specifications for the way you shoot. When the chips are down, you shouldn't be worrying about your ammunition. PMC agrees completely and responded with their X-Tac line. X-Tac is tried and tested by military and law enforcement around the world. Each round is manufactured to the exacting specifications demanded by organizations and needed by our customers. Trusted by enthusiasts and professionals alike, PMC has left nothing to chance with the X-Tac line. Hit the range, load up these precision-made rounds and watch your targets drop like flies. 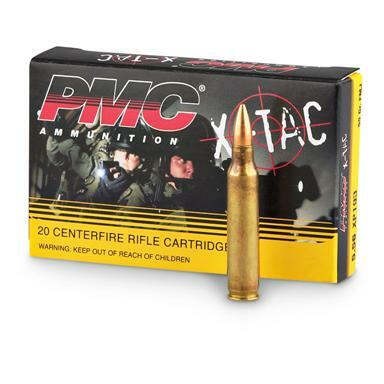 PMC X-Tac, .223 (5.56x45mm), FMJBT, 55 Grain, 500 Rounds is rated 4.9 out of 5 by 62. Rated 5 out of 5 by greenjam from Dependable product Very good round to use at the range and the price is right. Rated 5 out of 5 by LakeBum from Couldn't find a better price. Recently got the deal of the century on an Anderson AM15 and wanted to heat up the barrel ASAP so looked around at the different on-line sites to compare pricing. Settled on SG and they had these at the best price. Have shot 300 rounds without a hiccup so can't say enough how satisfied I am. Will be ordering more tomorrow. 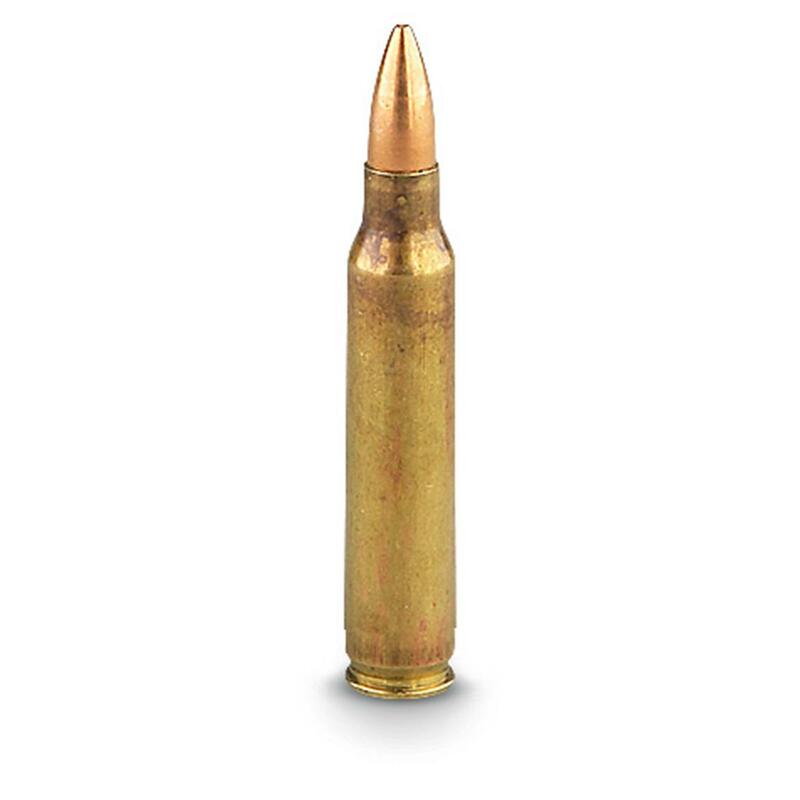 Rated 5 out of 5 by Sherbud from Great Ammo Ammo was clean, fired great and had no jams. I would highly recommend this brand. Rated 5 out of 5 by Big Mike from Goood price and value Very nice ammo, chambers and ejects perfectly.